Since its unveiling several weeks ago, the Fusion Edge Sno Pusher has been creating a great deal of buzz throughout the snow and ice industry. 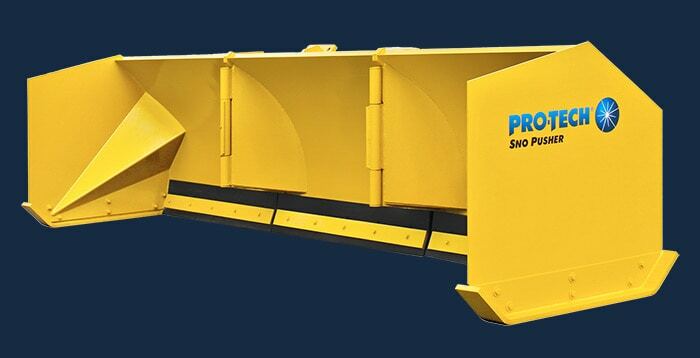 This new snow pusher for skidsteers and loaders has several industry-first features that will help to improve plow performance and ease-of-use compared to other containment snowplows. 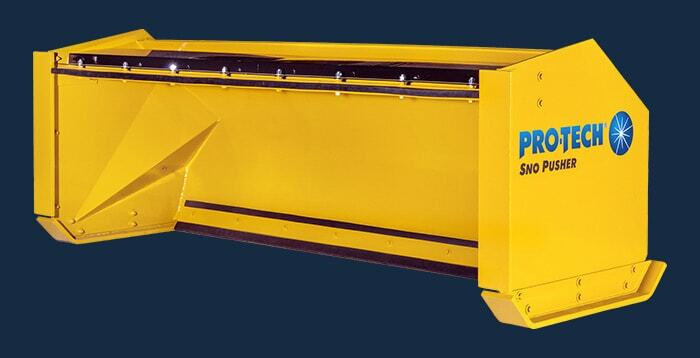 The main components of note on this snow pusher are the plowing edge, coupler, and wear shoes. 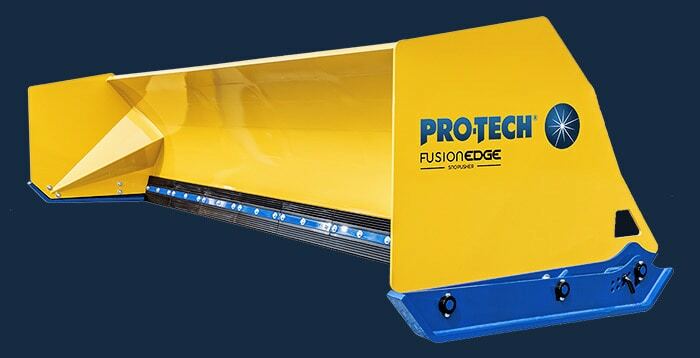 Fusion Edge: The Fusion Edge is a steel infused rubber cutting edge that gives operators the”best of both worlds”. The edge squeegees wet heavy snow while also scraping pesky hardpack. 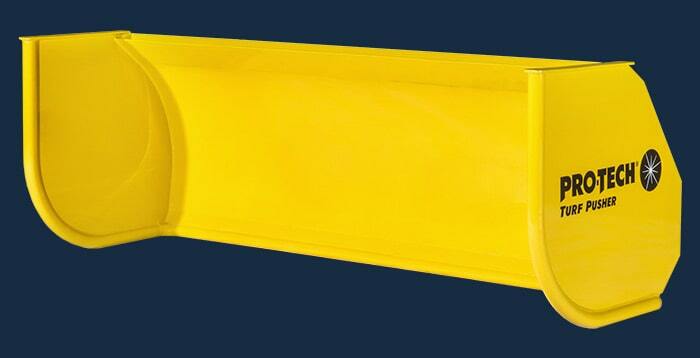 The Fusion Edge comes in 24″ sections making changes to worn or damaged sections easy to replace if required. 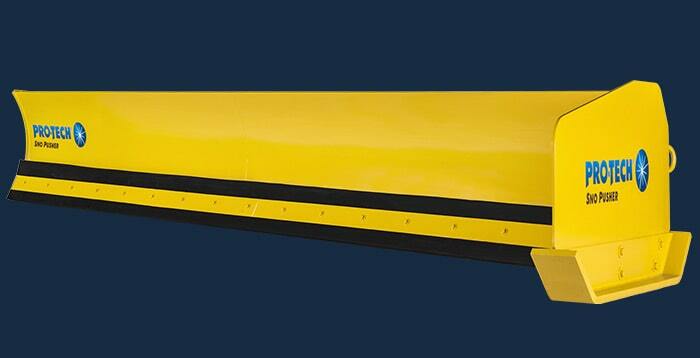 Customers can also expect extreme longevity with this new snow pusher, with the average wear life of the edge during heavy operation being between 350-500 hours. The edge also comes with infused steel on both sides. 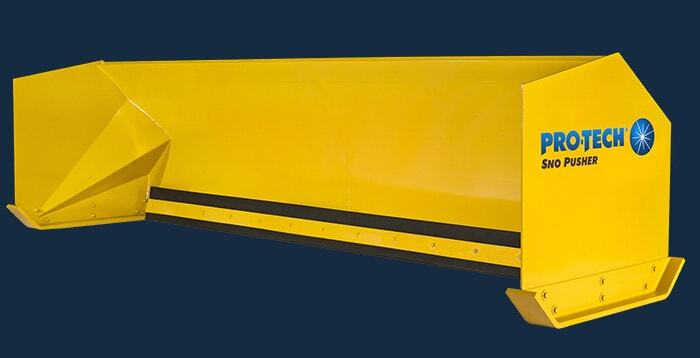 When one side is worn on the snow pusher, customers simply flip the edge and continue to plow. 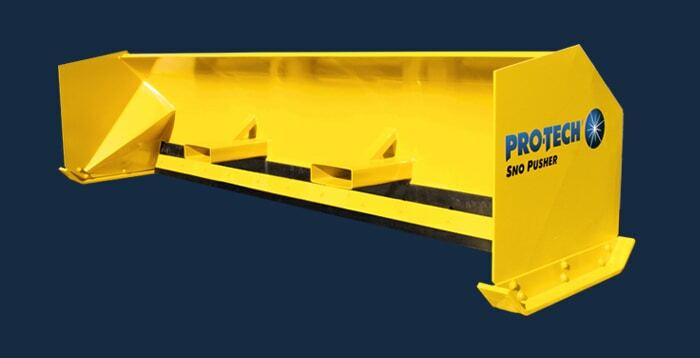 This edge is the perfect blend of ease of use and performance. Whether you need a snow pusher for skidsteers or snow pusher for loaders the Fusion Edge delivers. 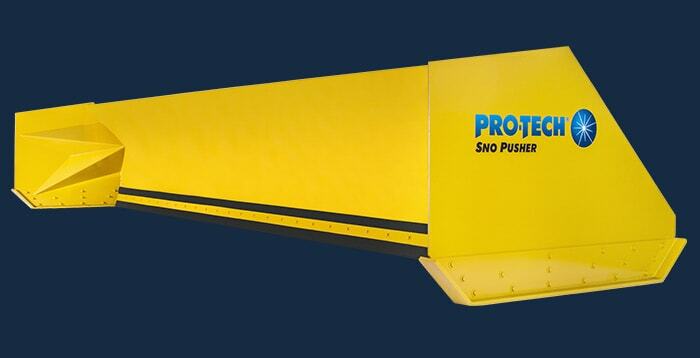 Pro Float Coupler: Another impressive feature on the Fusion Edge Sno Pusher is the Pro-Float coupler. 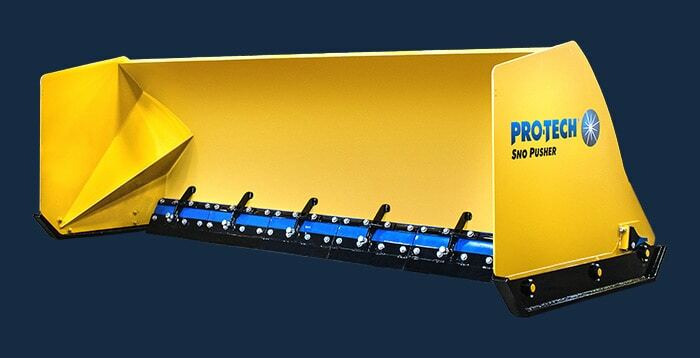 While there are other floating couplers for snow pushers in the industry, the Pro-Float is the first to not only move vertically but also horizontally and even oscillate. 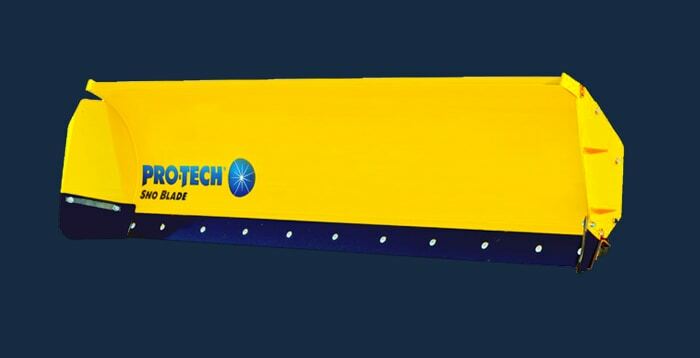 This allows the snow pusher to contour to surface variations. The coupler is also bolt-on giving customers the ability to easily change connection types if needed. Fast Attack Shoes: The Fast Attack Shoes work in tandem with the Fusion Edge to set optimal snow pusher cutting edge depth. Instead of adjusting the rubber edge along the entire width of the plow, the edge depth is now set at the wear shoes. Customers simply pull the pin and set the optimal depth. This design change significantly decreases the time it takes to make adjustments. 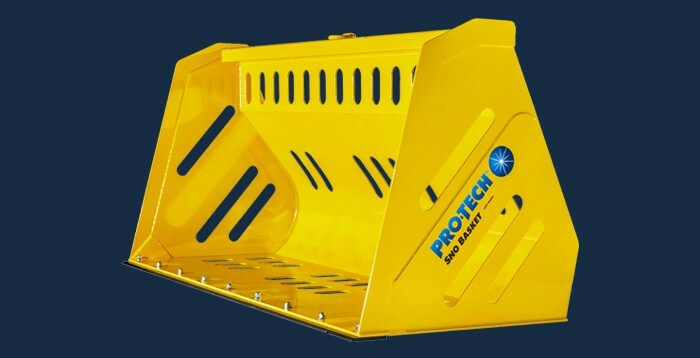 The Fast Attack Shoes are also designed to help operators maintain a level plowing position and are manufactured using only high quality impact and abrasion resistant through-hardened steel. If you are looking for a snow pusher for skid steers, backhoes, or loaders this winter consider the Fusion Edge Sno Pusher, the perfect blend of performance, ease of use, and durability. 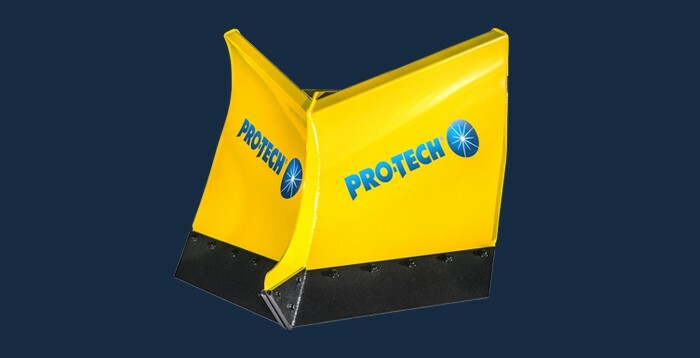 Visit our product showroom to see all of Pro-Tech’s attachments.